English guittars were popular in 18th century England and in North America. 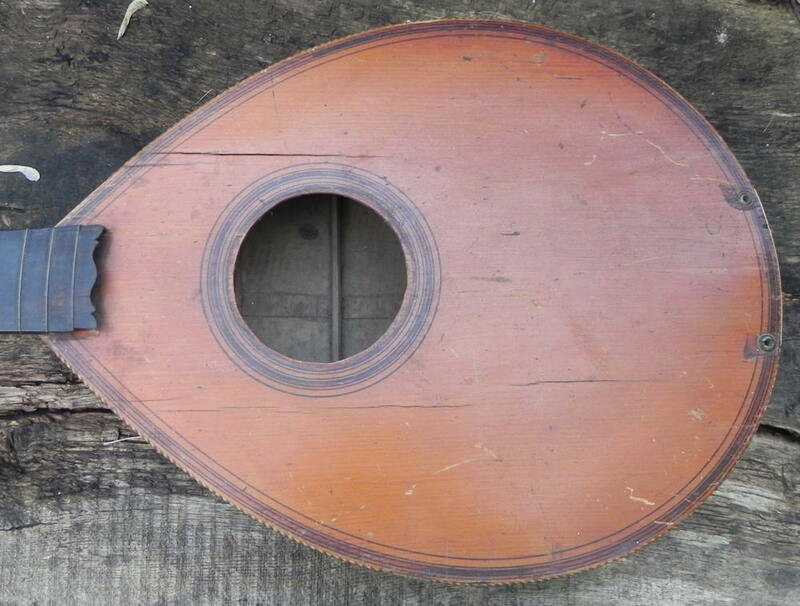 They are wire strung and are a type of cittern. Using the two 't's in guittar helps differentiate them from guitars. 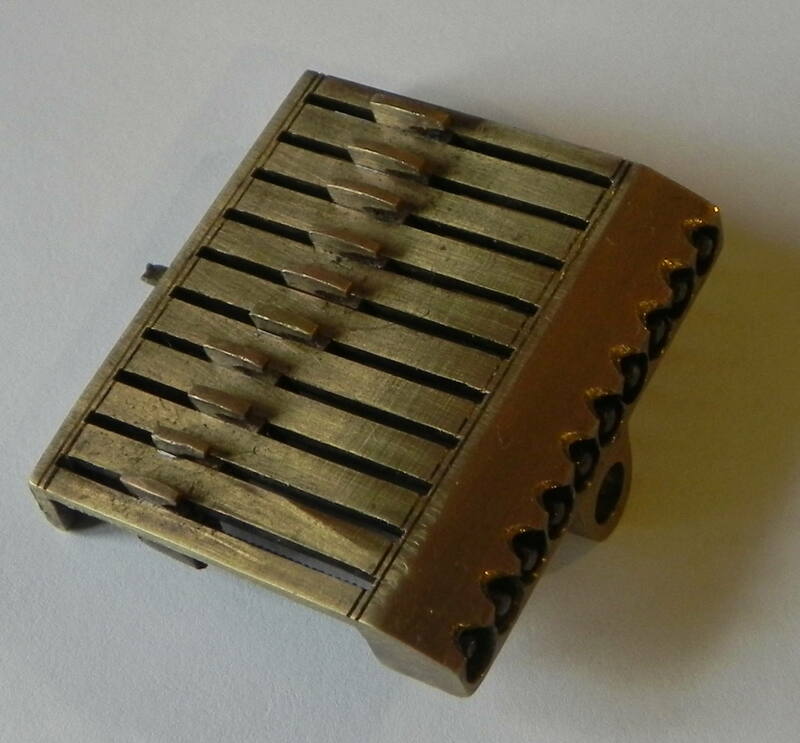 Early versions used wooden pegs for tuning and possibly because the pegs proved very difficult to use, a mechanical watch key method of tuning was invented. 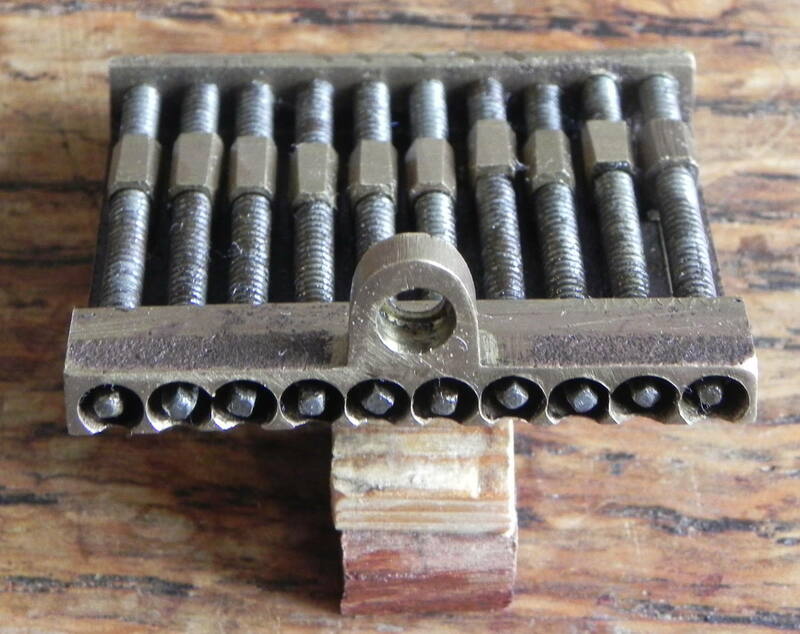 I believe the earliest known watch key mechanism is on the 1758 Hoffman shown below. 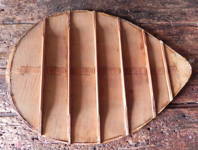 I have had five English guitars in the workshop. 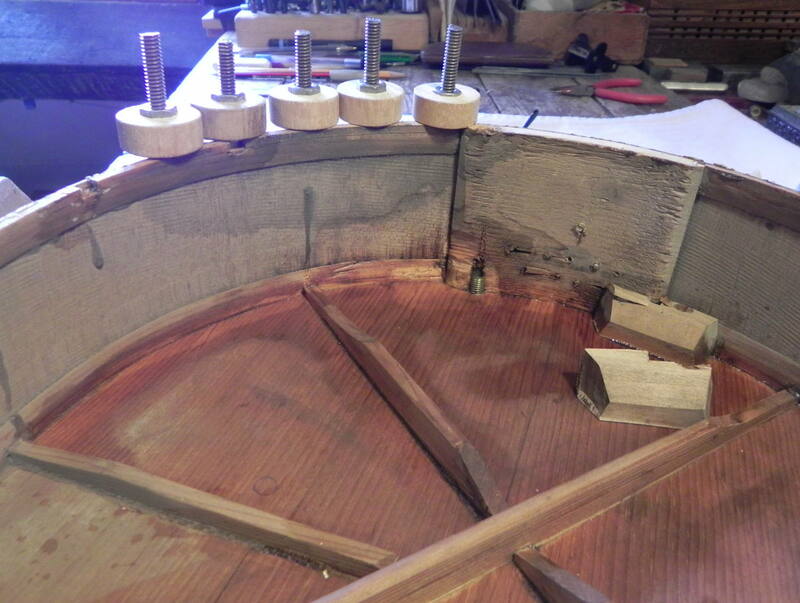 Progress on the latest completed restoration is shown directly below. The instrument is now in Norway. 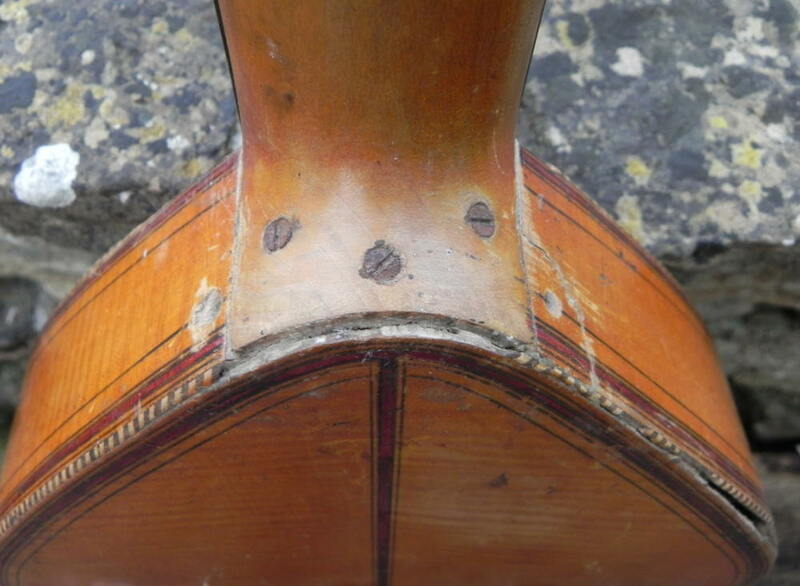 Further down on the page are previous restorations. 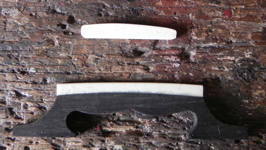 For a description of the earlier restorations, with notes and photographs, click on the picture of each English guittar. 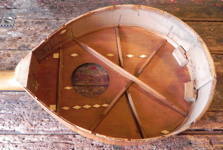 The instrument as it arrived, rather dirty and without strings, rose or bridge. 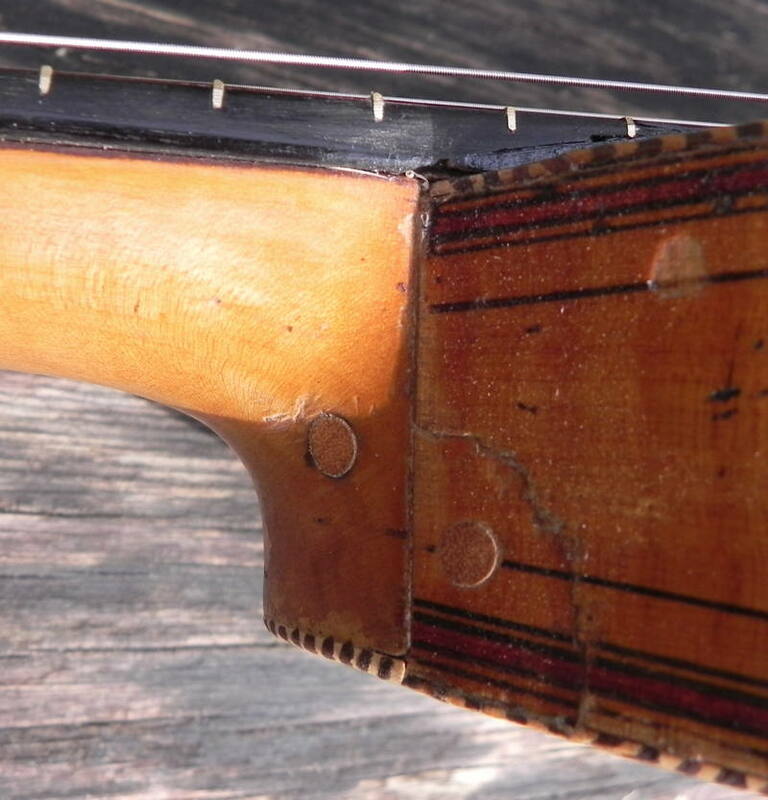 The soundboard is cracked in many places, the back is coming away, the neck is screwed to the front block and a lot of purfling is missing. 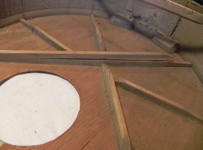 The brass holes at the rear of the soundboard are for the Smiths Patent Box, a device that allows chords to be played by depressing a key. The instrument is similar to those sold by Longman and Broderip. There is no label. The back came away from the body relatively easily. 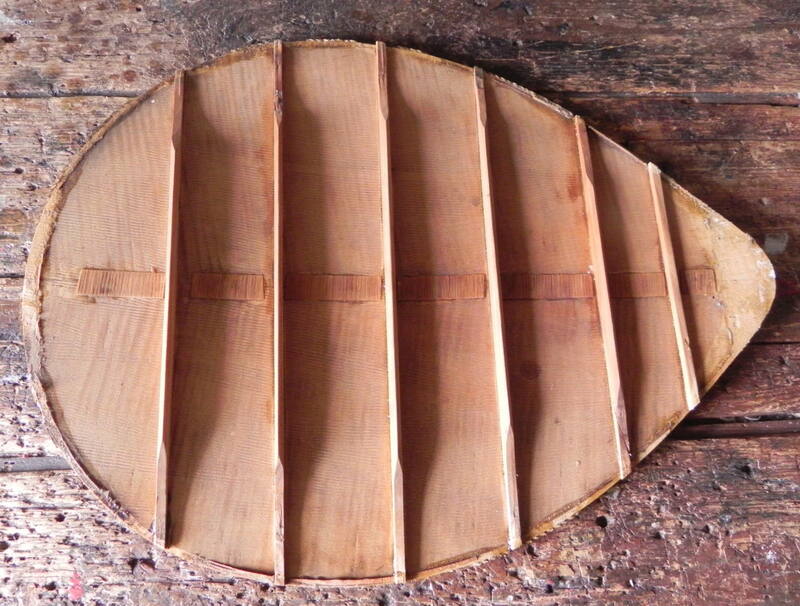 Two of the bars remained with the body and there is evidence of modern repairs here. All of the bars on the back will need to be re-glued. 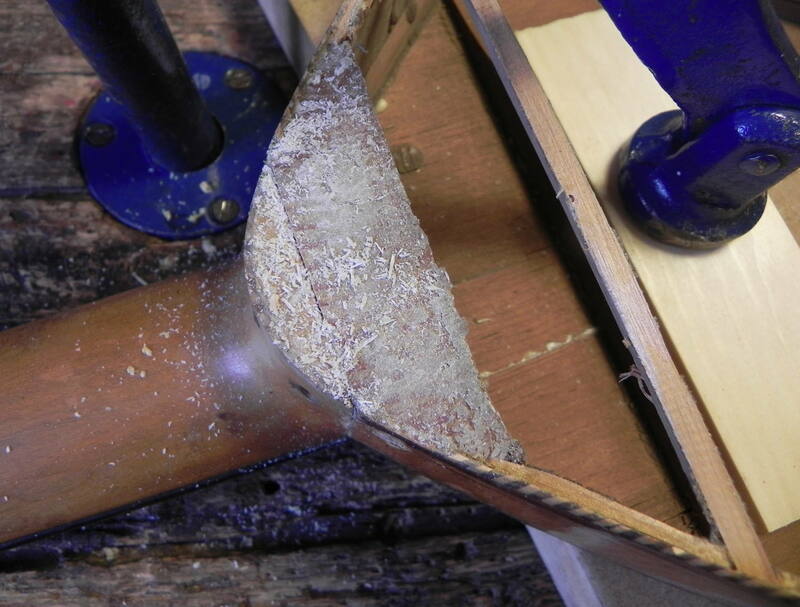 Inside the body, one bar is badly cracked and the rest are loose. One of the modern repairs. The front block and the back had been re-glued with Cascamite. 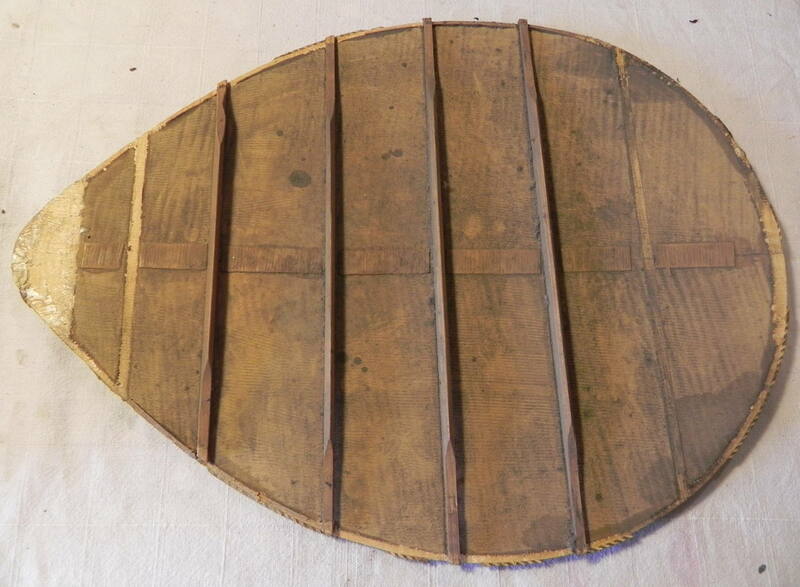 It was probably applied with a knife or spatula and used to on a soundboard split and to re-glue the first bar on the back . The old glue is chipped away with a sharp chisel. 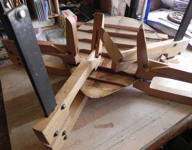 Using various clamps and go-poles, one bar a day is glued back in position. Small cleats of wood reinforce the cracks from inside. 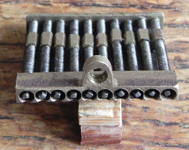 One of the blocks at the rear was loose and came away to show the threaded brass guides from the inside. The front and back, which were so flexible when the bars were loose, have become surprisingly rigid. 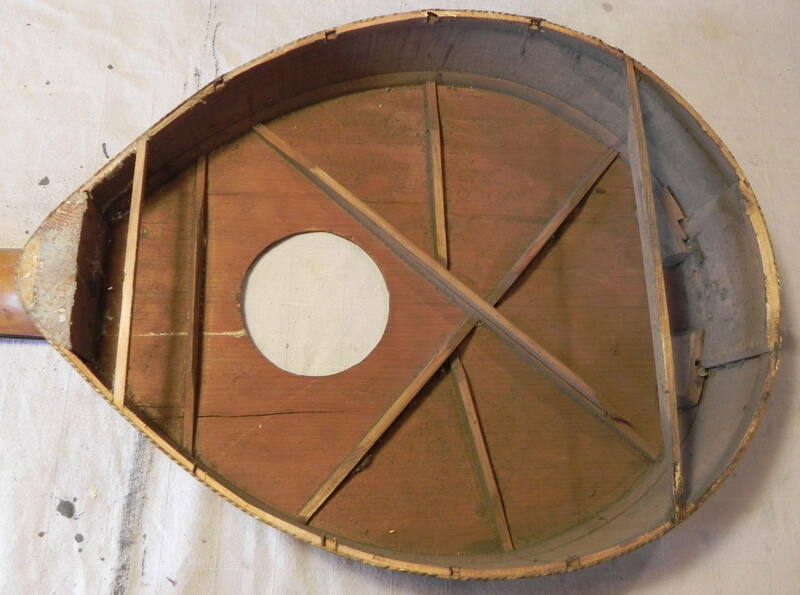 Showing the inside of the repaired back and body. 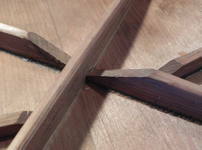 The tuning mechanism is in excellent condition and the bars show a high degree of craftsmanship. 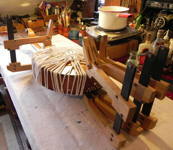 I used rope to clamp the instrument while the glue set. The body finished. 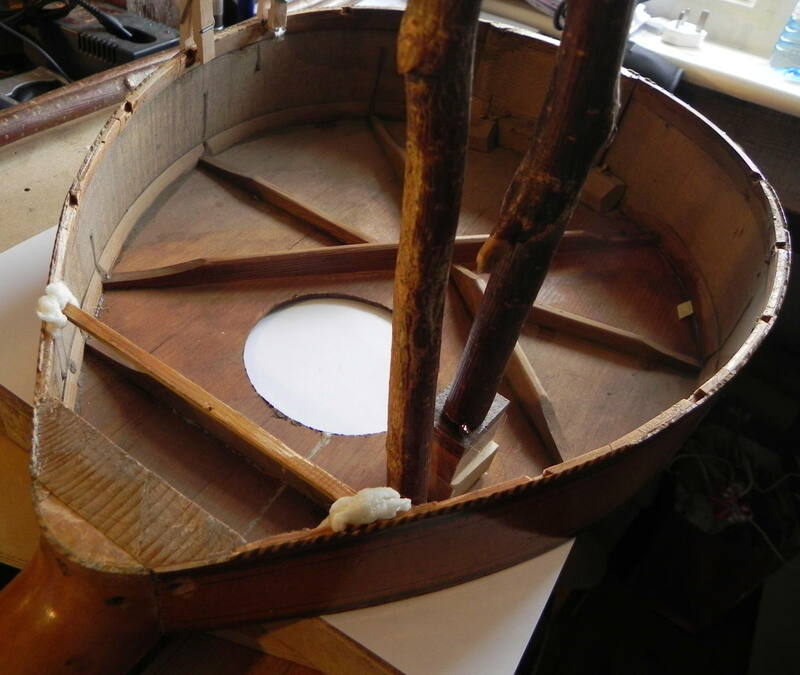 The bridge and nut ready for final shaping and stringing up. 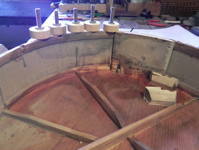 The instrument finished with the bridge and nut installed. The missing purfling was quite a problem. I could find no replacement and finally fitted plain box purfling which I then painted with acrylics to give the appearance of the herringbone pattern. This English guittar is now in Norway. A beautiful Preston English guittar restored to playing condition for its owner in Kent. A lute backed Hofmann dated made by Hoffmann in 1758, with a watch key mechanism. A very lovely Gibson, made in Dublin in 1788 and restored to playing condition. 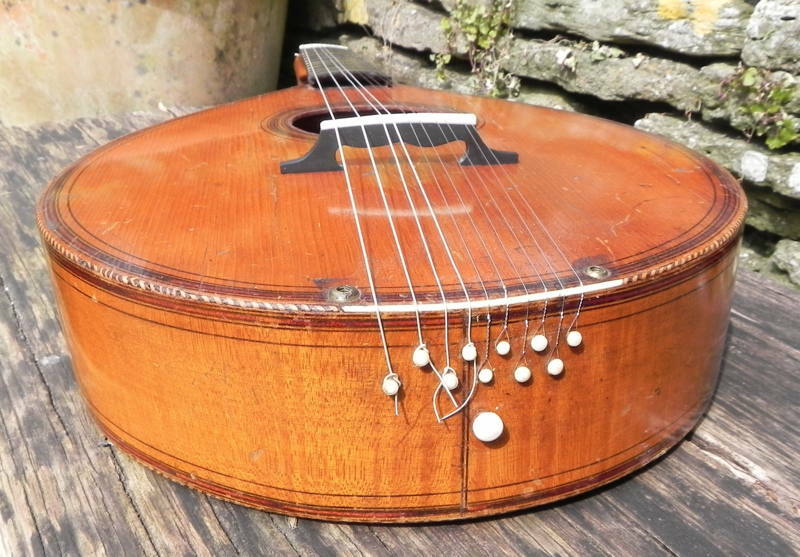 Made by Frederick Hintz of Soho, London in 1757, this English guittar is in John Wesley's home in Bristol.